Rebelscum.com: LEGO: Is A UCS Yoda Being Teased? LEGO: Is A UCS Yoda Being Teased? It's been over a decade and a half since the release of the first and only plus-sized Yoda (7194), which was the precursor to the recent 75187 BB-8 and 75230 Porg, and now there is a rumour that 2019 will see a revisitation. 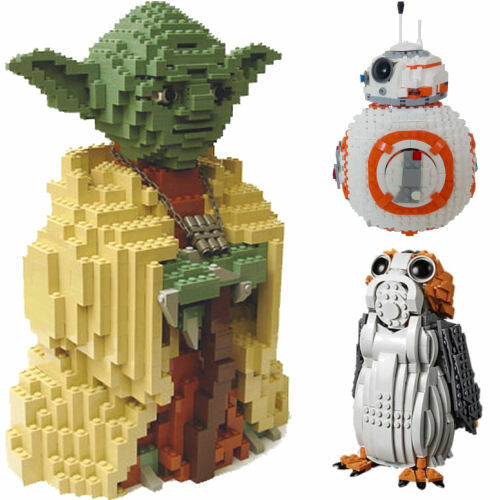 According to Brick Fanatics the 2019 statue will be our favourite, wizened, green Jedi Master of unknown origin. Their credible source has shared word that the set will be released at "the same time that sets based on Star Wars: Episode IX arrive" which is expected to be September, following the same merchandising pattern as The Force Awakens and The Last Jedi. And as many collectors remember the two previously mentioned LEGO Star Wars statues came out in the third quarter of 2017 and 2018. Whether it is coincidence or not, last October LEGO posted an image of a brick-built Yoda statue with a cryptic message on their Instagram page. Curiously it is neither 7194 Yoda or the Target giveway Yoda that Pepsi/Frito Lays sponsored in 1999. Given the trail of UCS Millennium Falcon breadcrumbs that LEGO left dotted around the internet, could this be the start of a subliminal marketing campaign? While we may be clutching at straws it is worth noting that the most recent LEGO Star Wars statue - 75230 Porg - came out in the same end of the same month, and our rumoured release list for 2019 has a UCS set due out around the same time too. Of course, you can draw a straight line between any two points so a UCS Yoda is far from conclusive. It will be interesting to see if any further Easter Eggs get found over the next three quarters of a year - if you see one feel free to email us at Rebelscum and share your suspicions.